TotalEffects now conforms to TSOP standards. Huge thanks to Soase Maelstrom! Thanks Stant for the updated Diplomacy version. 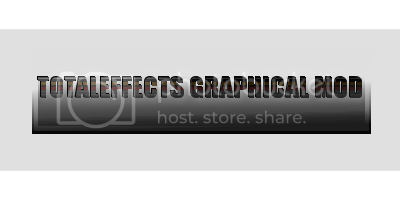 Anyone may use this mod in their own mod however they like, as long as proper credit is given. I have now included the Readme here for those who do not wish to download the mod at the moment. Credit to Bailknight, Mansh00ter, and Zorodius for their corresponding graphical mods and inspirations. Also credit to Gas Powered Games' Supreme Commander for some of the textures. This mod is an attempt to make another graphical mod that goes with the current list. It contains a mixture of particle effects of my own creation(the majority), effects from bailknight's graphical mod, effects from Mansh00ter's mod, and effects from Zorodius' Solarflair mod. I would like critique on my particle effect skills and what looks nice and what does not. Better range for the Jarrasul drain planet ability so that it actually has the same range as its bombing range. If the gameinfo folder is removed the drain planet effect will look funny. Assault Specialization has an effect when it hits structures. 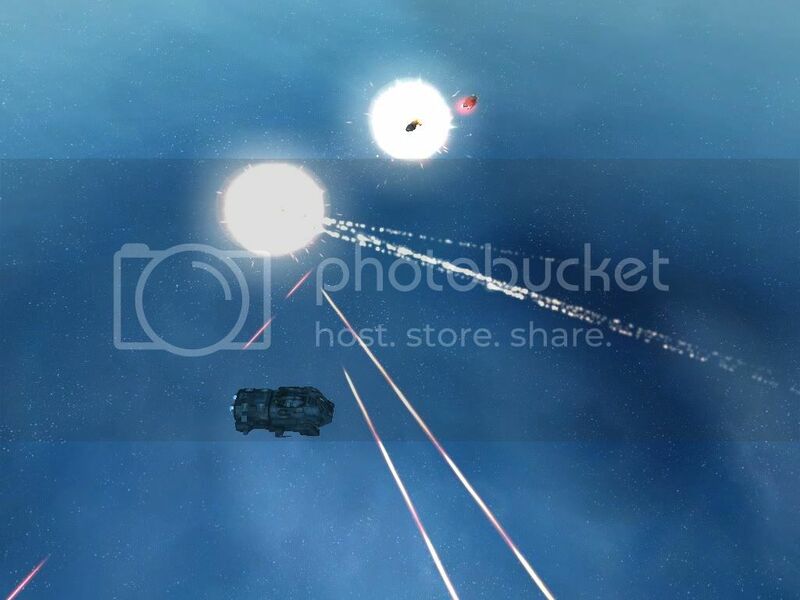 Charged Missiles now has a different beam texture and hit effect. Disintegration bounceback has more attached effects and Disintegration itself has an actual muzzle effect. Volatile Nanites now has an effect when a ship dies. Tweaked a bit with all of the Vasari capship weapon attachments. Changed the capship explosion. Getting rid of gameinfo will change the capship explosion back to Solarflair's. Synced the Skarovas' and the Kortul's wave cannons to fire at a single point. DELETING THE GameInfo FOLDER WILL CAUSE THE GAME TO CRASH. The Garda's shots also travel faster. The Destra Crusader's plasma shots now fire at a single point on a mesh. The Transcencia starbase now has Beam weapons instead of plasma. No damage change. The Dunov's shield Restore ability now has a muzzle effect. Numerous other surprises relating to just particle effects. I have removed all of the changes that would have anything to do with imbalance or game tweaks. All of the above changes are aesthetic only. One more thing, I do not know how it stacks up with other mods. experiment and tell me your results. Does anyone want pictures? Will that create more interest? With graphics mods yes. Just a couple of screen shots of the effects you made would be much appreciated. when i get time ill dl it and take a look. Wait a bit, and I will post pictures, and maybe a movie. People who play sins locally thought it was cool. Try it. this can also be used with diplomacy, I saw that you had some ship and ability entities included and I was wondering why you included them? 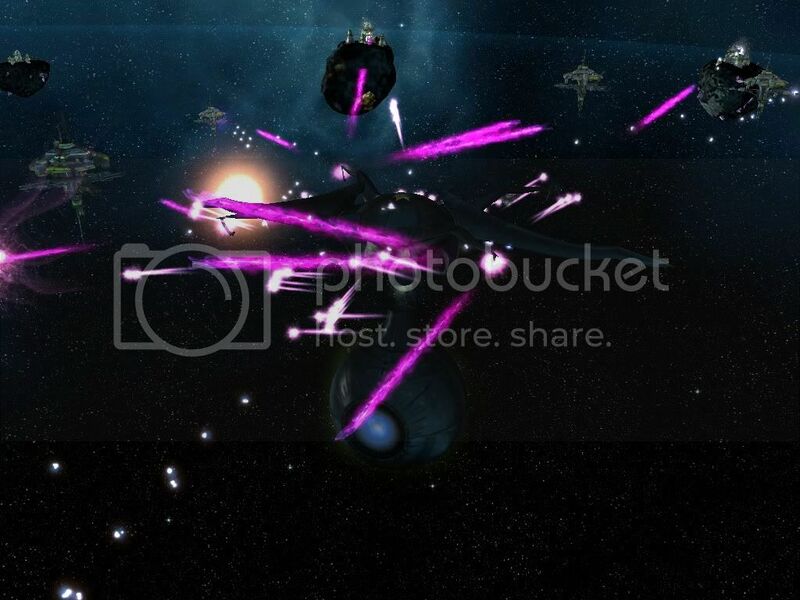 Most of my screens are of an Orkulus moving around and spewing purple death everywhere. If you look closely, you can see a faint green glow around the lower portion of the Orkulus. This is one of my upgraded starbase flairs. Just kinda stirring the post back up to the top of the list. I just updated the mod to include the 45 effects I forgot in the last upload. Most of them are Vasari exhaust effects. That completes my set of entrenchment exhausts. Once I get diplomacy, I will set to work on the extra effects. Syneptus, I tried your mod out on my comp and worked ok (no perf issues on small maps atleast). I did get a few mini-dumps occasionally. The only warnings that I got were of no consequence. "Surface" works despite the warnings. You say you got some minidumps? I use the exact copy of what I posted here, and have yet to get a minidump. I put it at 8x speed and had several mini-dumps after applying only this mod... And other times it ran fine to completion of the game. I'm not really sure why. Are you using Entrenchment? I have discovered that removing the gameinfo causes crashes when you play on Vanilla with it. As for the 8x speed, there are glitches with the game not handling particles correctly at high speeds, and you probably WAY overloaded your game, not your computer. Darn, my attempt at making a nice screen failed. It looks nicer when it is running. Yes, entrenchment and no modifications to the mod. Interesting point on the 8x speed. I usually run at that speed if I am testing. Does anyone know a way to record a game in video? NOT FRAPS. Do you have Xfire? It is pretty decent at recording, although I think you'll be forced to upload it to Xfire's website, which isn't much of an issue since the quality is good and no registration is needed to view, and there's no ads. Oh, and Xfire records at your screen resolution, so recording a video while playing at high resolutions will make a gigantic file. And you can either have the in-game audio or you can not record that so you can put your own music into the video. Just mixing my mod back to the front of the list. Also, to anyone who has downloaded this mod, I am working on replacing autocannons. I have several ideas for replacement. Input would be appreciated. Anyone out there who has downloaded my mod and likes it? I would like at least some kind of critique as to what I can improve.